The AR-15 Pic Rail Brass Catcher attaches to AR-15, AR-10/LR-308 and other AR rifles with a flat top or Picatinny rail hand guard. It mounts to the Pic Rail of any AR with its quick detach anodized aluminum clamp. The adjustable clamp and wire frame work with most optics. The quick detent locking attachment feature allows for quick installation and removal of the brass catcher – which allows for quick checking or clearing of the rifle chamber. 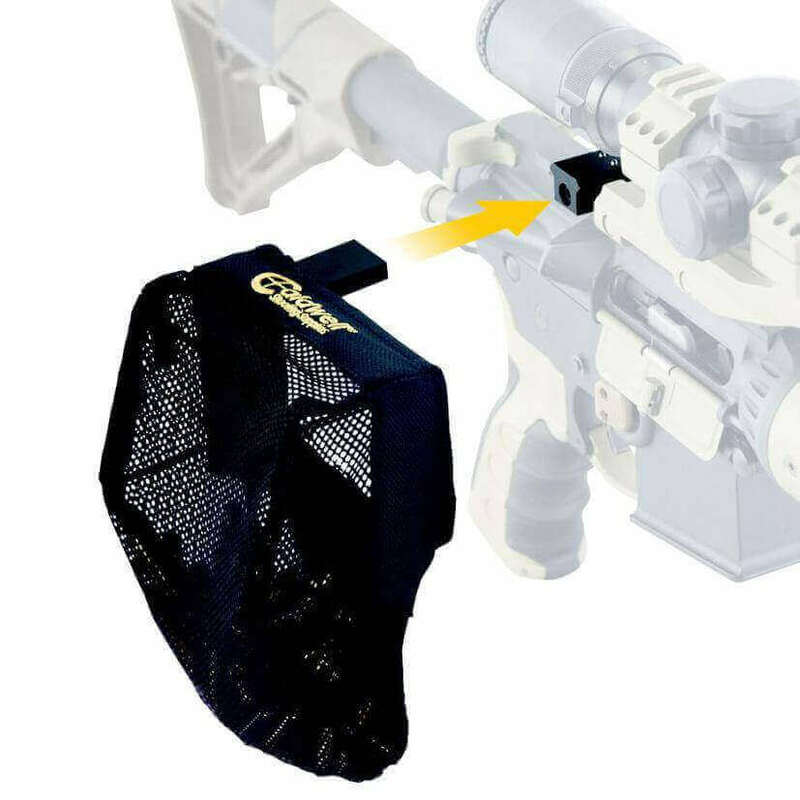 The heat resistant nylon mesh bag can hold up to 100 rounds of spent brass which also features a bottom zipper for easy retrieval. Perfect for reloaders.